The Taconite snowmobile trail in Itasca county Minnesota. We finally got a chance to get our sleds out on the trails yesterday. Our time was limited so we only traveled about 50 miles. We were pleasantly surprised at how good the trails were. There were stretches that were awesome and others where the need for more snow was obvious but overall we had a great day. It felt so good to be out on the trails on a beautiful January day! 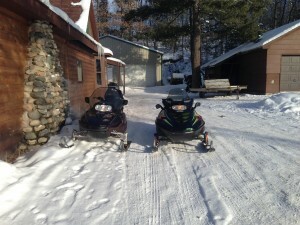 We took the Bushwacker Trail to the Taconite then took the Clearwater and to the Suomi Trail. We are all about what’s for lunch so we planned to hit one of our favorites, Cedar Creek Grille, which is on the Suomi Trail. (They are open for lunch on Fridays, Saturdays and Sundays during this time of year) The Bushwacker which runs just to the south of Bass Lake was okay. It has been groomed and cleaned up but we certainly need more snow to improve conditions. 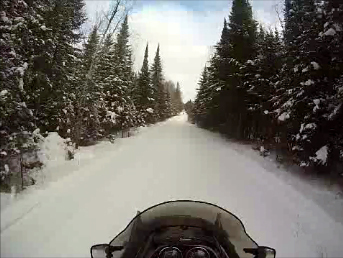 Parts of the Taconite were excellent and then other parts where the snow was a little thinner weren’t as good. Both the Clearwater and the Suomi were rough but had been groomed. Lunch at Cedar Creek was awesome as usual! 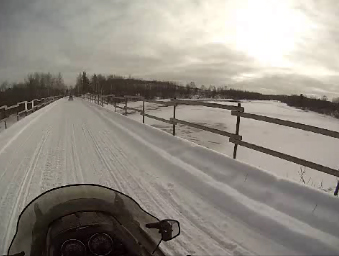 Crossing the Prairie River Bridge on the Taconite Trail north of Grand Rapids, MN. It felt incredible to be able to get out on the trails again. We only got to ride one time last year so we have high hopes for the 2016 Minnesota snowmobiling season. We plan to head out again tomorrow with friends so we’ll let you know what we find! Winter is here to stay so we might as well get the chance to enjoy it. Our office on Friday. We love our job!! 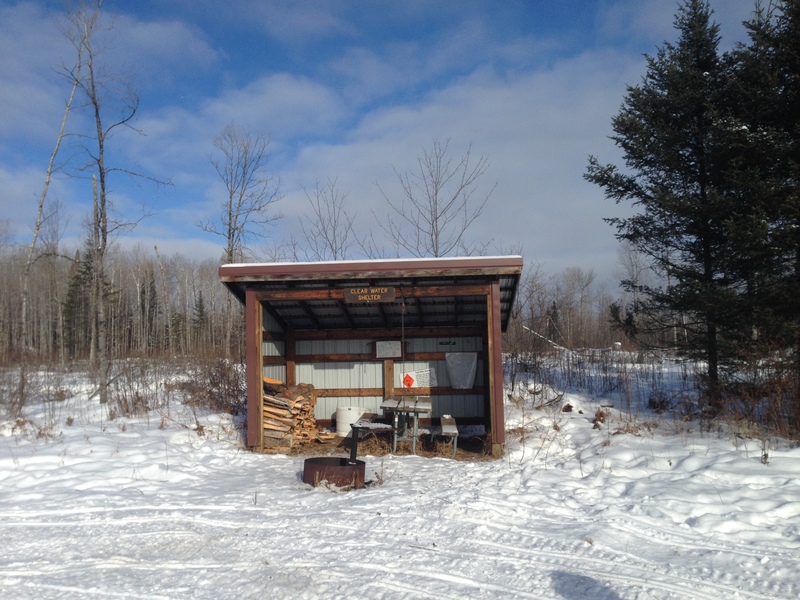 The shelter at the Taconite-Clearwater trail was loaded with wood for making a fire!